Dan.Elder is a leadership coach, management consultant, and change agent who has coached and mentored hundreds of leaders at all levels. 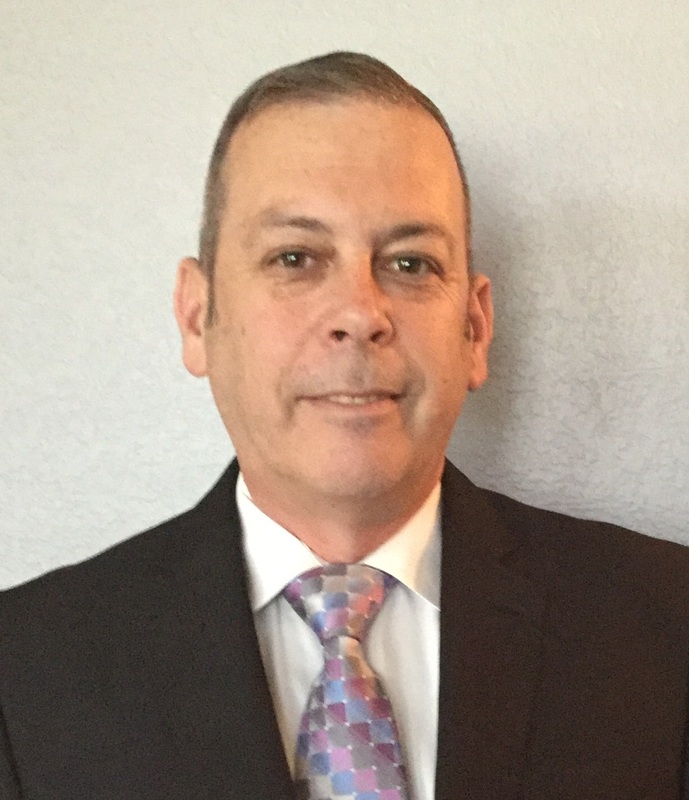 After 26-years of active federal service as a Soldier, Dan has taken his leadership and supervision experience to industry where he as worked for and consulted with a number of defense contractors and firms and used his leadership talents in the areas of project management, business development, information systems and technology. Today he works as an independent consultant and executive coach and operates a project management company in Killeen TX. Dan is a certified leadership coach and trainer who has mentored hundreds of federal leaders and supervisors at all levels, he is also a trainer who leads Balanced Readiness Seminars and provides feedback and action plan development using 360-degree multi-source feedback instruments. Dan continues to share and contribute to others and has edited or contributed to a number of soldier-related books and manuscripts, and authored three himself. A serial content creator and entrepreneur, you can find Dan’s public domain and freely shared works in his role as an author, blogger, podcaster and sought-after speaker. He earned a master’s degree in corporate and organizational communication from Northeastern University of Boston, MA and a BS in business administration from Touro College, New York, NY. Dan is a Member of the International Coach Federation and has been married to his hometown sweetheart Gloria for 32-years. They have two daughters Dani and Courtney, and four grandchildren. Principal owner responsible for 100% of profit or loss. Accountable for managing projects cost, schedule, quality, and on-time delivery on budget and within scope. Curate a portfolio of 10 existing or potential clients focused on state and federal clients. Conduct marketing activities, manage a workforce of associates and consultants and ensure profitability. Develop and manage multi-year strategic marketing plans and programs. Lead 100% of all business development, capture and marketing activities for a small start-up consulting and staffing firm and possess experience identifying and tracking business opportunities. Analyzes business issues and opportunities by analyzing data to understand their value to the company, and then develop resource requirements and budgets. Oversees projects execution and monitors project issues to reduce risks. Conduct evaluations and assessments using best-practice techniques; gather feedback and interpreted surveys data and one-on-one interviews for 100 clients. Provide analytic and in-stride evaluations based on organizational goals; create reports and conduct high-level briefings. Provide information system analysis and advice to over 15 clients who manage web, portals, content management systems and customer computer information systems in support of their organizational objectives. Conduct content management system assessments and evaluations. Third-party sub-contractor to Kaplan University where newly developed hybrid delivery strategies were created for on-site learning facilities supporting military organizations at multiple sites across the United States. Provided management oversight at 6 sites and developed project plans, managed project controls, made recommendations and/or decisions and communicated progress to key stakeholders. Managed projects closely with project sponsor and provided status updates, and conducted routine briefings to manage risk. Led a 5 person consulting team to compete for and win a contract with the State of Texas for Customer Service Evaluation Services for the Texas Military Department. Project manager to the client for planning, coordination and implementation guidance within the timelines allotted by the statement of work. Monitored and observed staff operations to record operational processes and capture best practices. Provided data analysis and recommendations based on industry metrics, which included briefings, in-stride updates and highlighting key messages in a final report. Accountable to identify and capture employer and customer-partner contracts for ERP/CIS systems within the Federal, State, and not-for-profit sectors. Provided support in negotiations, risk management and other business development projects in association with other organizational initiatives. Responsible for generating $3-million of revenue annually by closing on new business deals and by creating and managing relationships, identifying and managing risk, and through the process of preparing, developing and negotiating contracts. Responsible for generating $3,000,000 of revenue annually by closing on new business deals and by creating and managing relationships, identifying and managing risk, and through the process of preparing, developing and negotiating contracts. Accountable to identify and capture employer and customer-partner contracts for ERP and information technology systems within the Federal, State, and not-for-profit sectors. Provided support in negotiations, request for information and proposal, risk management and other business development projects in association with organizational initiatives for over 35 major proposals. Managed the full life cycle of proposal development process relating to information technology systems, including tracking a pipeline of up to 50 opportunities, monitoring contract lifecycles, creating B2B teaming arrangements with partners, opportunity assessments, pricing, proposal preparation, and review process. Prepared and presented over 50 business case analysis to senior executives with the requirement to identify and negotiate strategic partnerships to support product acceptance and new product development initiatives. Created the strategy to establish the first Knowledge Management cell at a US Army Corps and was responsible for the development of internal processes required to activate and employ that new capability. Developed solutions for the customer in how to use technologies and collaborative solutions, including identifying best practices using networked enterprise platforms and software tools. Day-to-day duties included analytical evaluation; provided change management recommendations and information technology implementation advice, created strategy, and led training activities 5-10 times per week; implemented cross-functional improvements across customer departments and assisted clients in computer information system implementation; organized and prepared technical reports and presentations. Socially connected technology consultant, a blogger and a technology power user with over 25 years’ experience in online portal and web design. Developed strategic plans for how to successfully use computer information systems and collaborative applications. Identifying best practices using networked enterprise portals and software tools. Prepared 3-5 progress reports monthly summarizing project status to PMO office. Guided client and their 6 employees while proving daily oversight of their workflow to ensure compliance with specifications, ethical practices, and policies of the government and accrediting organizations; a technology solutions specialist and integrator. Experienced in changing cultures by creating project plans to integrate information system and online communities of practice to a federal client. Served as a champion for 3 system applications to monitor a continuous improvement loop across the client’s firewalled intranet through the use of synchronous and asynchronous techniques. Subject matter expert, trainer, and consultant. Created the strategic approach to establishing the first Knowledge Management cell of 6 government employees for a federal client and responsible for the development of the strategic plan required to activate and employ that new capability; identified and mitigated project risks. Enforced change among the transient staff during high tempo operations, successes were measured in establishing standards and enduring codified processes. Served as co-leader of 2 action teams, 1 content review boards, and 1 change control boards (CCB) for vendor performance. Created key performance indicators, provided updates to clients and stakeholders, and worked as a team member and led a team of 2. Having served on active duty for 26 years he retired as the Command Sergeant Major, U.S. Army Materiel Command at Ft Belvoir, VA that was responsible for the oversight of over 65,000 logistics soldiers, civilians, and contractors in more than 40 different the US and overseas locations. Responsible for multiple locations and increasing levels of supervision for the health and well-being of enlisted and civilian personnel. Regular duties included assignments, professional development, promotions, training, establishing policies, and administering talent management requirements such as evaluations, training plans, schooling, and maintaining equipment. Disciplined and honest, lead with integrity. Highly successful 26-year military career in the U.S. Army in culminating in 5 successive senior management positions responsible for oversight of Defense Department and federal managers and employees; led small teams of 5-10, to large, complex organizations of 100-500 employees. Selected to a highly competitive executive-level position as a senior command sergeant major responsible for oversight of 65,000 supply chain and distribution management employees in more than 40 different US and overseas locations. A disciplined, honest, and respected leader. Responsible for multiple assignments at increased levels of responsibility for the health and well-being of over 100 direct report personnel. Regular duties included hiring, assignments, professional development, promotions, training, and establishing policies while also administering human resource programs such as evaluations, awards, training plans, schooling, and assignments. An experienced speaker published author of 3 books and a communicator with excellent presentation skills. Experienced in operational and field services, with additional assignments as a trainer and training developer; detailed for 9 months at the US Army Sergeants Major Academy, a premier Army educational institution. Recognized for excellence on numerous occasions to include being awarded the U.S. Army Chief Information Officer/G-6 Knowledge Management Pioneer Award, November 2003. Served on the faculty of the U.S. Army Sergeants Major Academy, the premier educational institution for enlisted soldiers. Coaching, Training / Certification & Experience; Other Certifications Over 31 years of experience as a leader and has coached and mentored hundreds of emerging and successful leaders at various levels. Executive management coach to federal civilian supervisors and managers; facilitates training seminars and provides one-on-one coaching for senior Army leaders. Certified Authentic Leader Development Coach; Chambers Bay Institute, True Growth® Coaching Certification Program. Successfully completed a 48-hour intensive certification program that qualifies participants to coach senior leaders using a proven, structured development of both the principles and applications of authentic leadership. Leadership coach for more than three years at the US Army’s Balanced Readiness Seminar, School of Command Preparedness; conducted 10 classes per year, attended by all officers and Command Sergeants Major who are to be assigned to command assignments at the brigade and battalion level in all components, Active, Reserves, and National Guard. Conducts executive coaching and provides feedback via the Authentic Leadership 360° feedback session. The Defense Logistics Agency Executive Leadership Development Program (ELDP) provides Department of Defense (DOD) and interagency personnel the opportunity to participate in an exceptional joint and enterprise-wide Civilian leadership training and development experience. The objective is to promote greater understanding of the overall Department of Defense mission and culture, provide hands-on leadership training that parallels selected military training and ensures cross-component exposure. ELDP is a comprehensive program that provides leadership development opportunities needed to meet their challenging mission requirements today and into the future. Master Knowledge Management Professional TM Certification (2011) – Awarded by KMPro to experienced practitioners in the field of Knowledge Management based upon demonstration of the practical application of knowledge management. Candidates complete a KMPro CKM certification workshop, then qualify for the KMPro Certified Knowledge Management Professional (CKMP) certification by successfully applying the concepts in completing a knowledge management project. 360-degree Instruments & Other Leadership Assessments Tools The True Growth® Authentic Leadership 360° – a method of collecting perspectives about a leader’s performance from a wide range of team members. Focuses on seven core competencies and corresponding behaviors that are essential to becoming an authentic leader who people want to follow. SKILLSCOPE – Skillscope surveys can be used with supervisors and managers, as well as individual contributors. It is designed to be easy to complete and simple to interpret. Participants and raters complete a 98-item checklist organized into fifteen competencies, using a strength/development need format, rather than a numerical rating scale. Skillscope presents feedback data in a straightforward, graphic format. The assessment is based on research designed to capture managers’ work as it really is. analysis of the culture of an organization by evaluating the underlying cultural traits and management practices that influence business performance. Research shows a persistent relationship between four cultural traits of organizations and the business performance of organizations that include Involvement, Consistency, Adaptability, and Mission, they serve as the basis for the model underlying the Denison Organizational Culture Survey. After clients complete the survey, the data ago to a Scoring Center and the results are presented in a Summary Report that includes the organization’s graphic profile, a line-item report summarizing the organization’s scores on each individual item, and a listing of “Levers for Change” that may be appropriate for the organization. Coaching Philosophy I use my more than 31-years of experience as a leader and manager, coupled with my education and business experience, to connect with each client using terms and concepts that they can relate to. I work to understand who they are as a person by studying their talents and then help them to decipher messages coming from the participants in multi-source feedback sessions and self-assessments. I share with them strengths and development areas, and what they can do to grow into a better and more authentic leader, one who can positively impact their organization. We then identify organizational goals based on traditional SWOT methodology to create SMART, actionable goals, and then create actions to achieve their desired objectives. What is Professional Coaching like?